Last year we had our first vegetable garden and I LOVED IT! Our growing season is pretty short in Canada (June – September.) With the long summer days, you literally can see growth happen between the morning and evening. It’s so exciting! It’s also a short-term commitment and therefore can fit into my busy life. The one down side was that not all of my plants yielded fruit or they were late in the season to yield and so the fruit didn’t mature. That’s why this year I’m taking a stab at planting seedlings indoors to get a jump-start on the season! I’m sure you can search the Internet for expert advice on planting seedlings indoors. 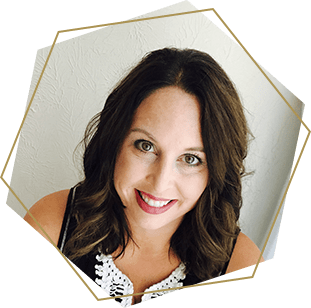 This article is for the novice gardener, the mom who wants to do something fun/educational with her littles, and the person who thinks starting from seeds is too hard. 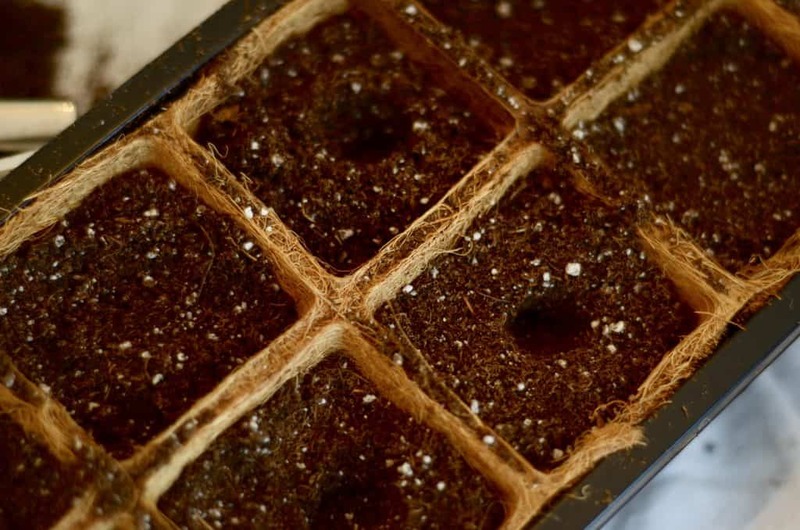 Typically you’ll want to start planting seedlings indoors about 6-8 weeks before your last frost. So, in Texas you can start planting seedlings in NOVEMBER! 😂😂😂 In Canada, our last frost is in late May 😢, so we start our seedlings in February / March. For the exact time frame of when to plant your seedlings, check the packets and it will tell you. If you need to know when your last frost is, check here. 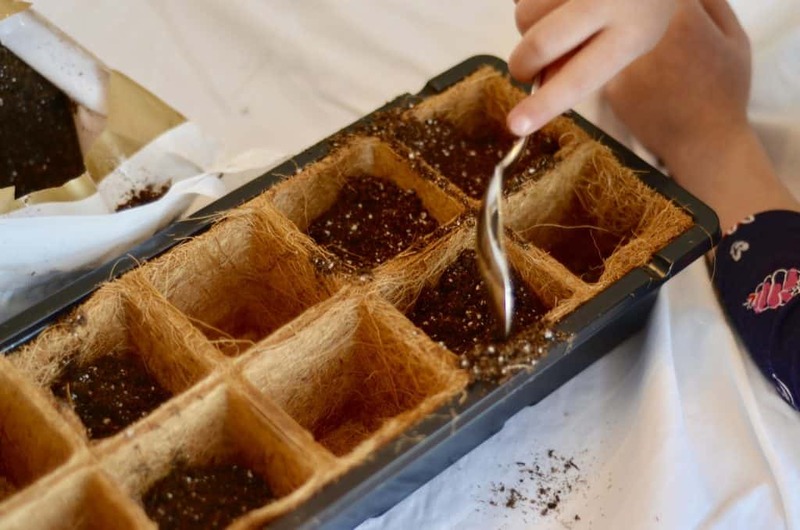 You only need a few supplies for planting seedlings indoors. 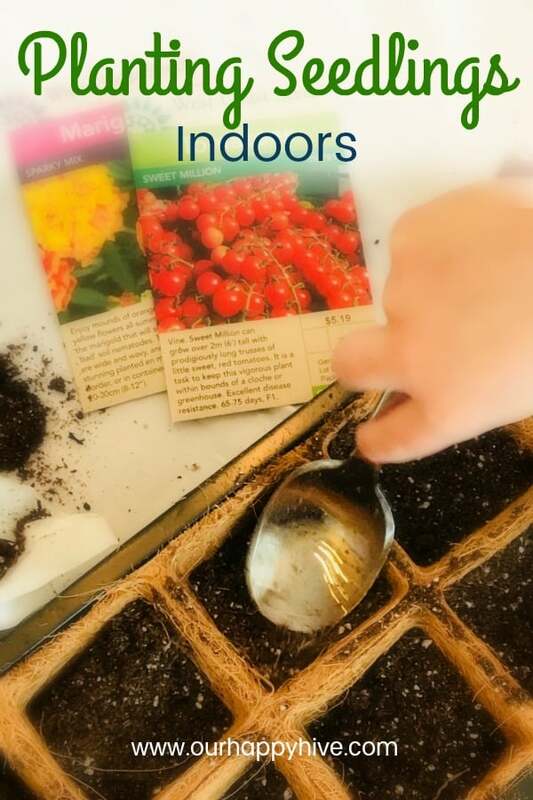 Depending on your climate, you may also want to have a warming mat and a grow light. I have not purchased these two items yet, but with several feet of snow in our yard, it’s going to be a while before these plants move outside, so I’ll likely be purchasing a grow light very soon. Make a list of the plants you want to grow in your garden. I make a map of my square foot garden. When making your list or map, consider what grows well in your climate. With our garden, I made a list of fruit/vegetables my daughter already liked or I thought she would like. You’ll also want to factor in the benefits of companion planting. Last year, due to the advice of a neighbor, I planted Marigolds in our vegetable garden because of the benefits it provided to the neighboring plants. Once you have your list, I advise ordering directly through a seed company or going to a local nursery. 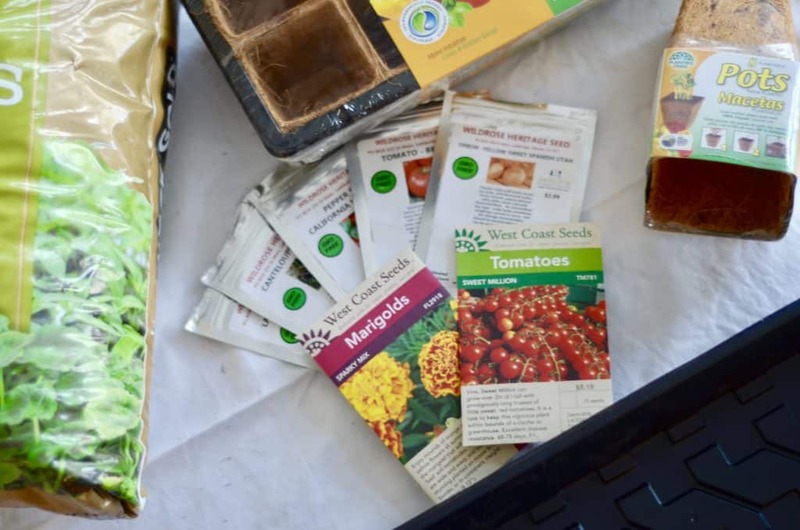 These are safer options for buying seeds than going to your local hardware store where the seeds may have been inappropriately stored. We chose a regional seed company that has grown seeds that work in our climate. As a newbie gardener, this gave me peace of mind that I was starting with good stock! Often plants like broccoli, cauliflower, cucumbers, eggplants, melons, peppers, and tomatoes are started indoors. Plants that take a long time to grow and their fruit to mature are typically good candidates for growing indoors. Seeds to directly sow in the ground and not indoors are your root vegetables e.g. carrots, potatoes, beets. Corn is another one that should be started outdoors. Ok, there’s lots of information out there about different ways to prepare your seeds. Pre-soak…Freeze etc. I AM NOT THE EXPERT in this area. I did not do anything special with my seeds and so far everything except the peppers have sprouted. But again, I’m not the expert. One of the huge bonuses of having a family vegetable garden is that kids can get involved and become interested in healthy food when they become part of the process. Last year, Little Miss E helped with planting, watering, and harvesting the produce. This year, she helped me with planting the seeds. First, we filled each pot with soil. Next we made a small hole with our finger. Note, most of the seeds need to be covered with VERY little soil. 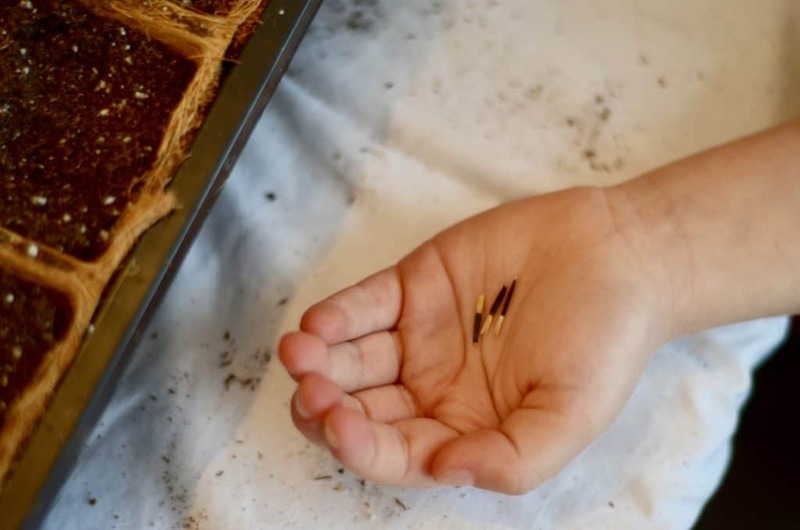 Each seed package will specify how deep the seed should be. We placed the seed in the hole, covered it with soil, and watered around the seed. You’ll need to be careful not to over water. Some people recommend using a spray bottle to mist the plants. Finally, cover with a plastic lid or plastic wrap to keep the humidity in and the conditions optimal for sprouting. It was really easy to plant the seeds and my daughter enjoyed being a part of it. A week or two later most of the plants started to sprout. Seriously, it was so exciting! Plant extra and prepare for some not to make it. Especially if you’re like me and new at this! 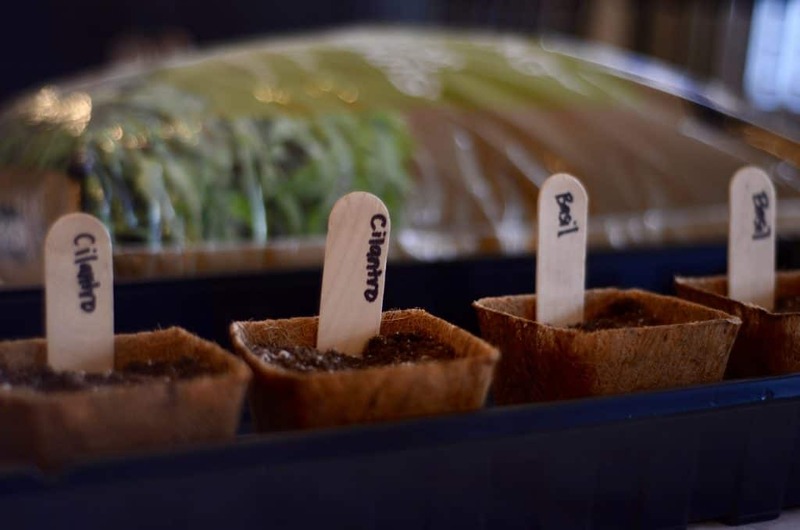 Label your containers, so that you know what they are when they start to sprout, but before they’re mature enough to distinguish. And there you have it. So easy a four year old can do it! At least that’s how it seems at this point. Currently, everything but the peppers are growing well. 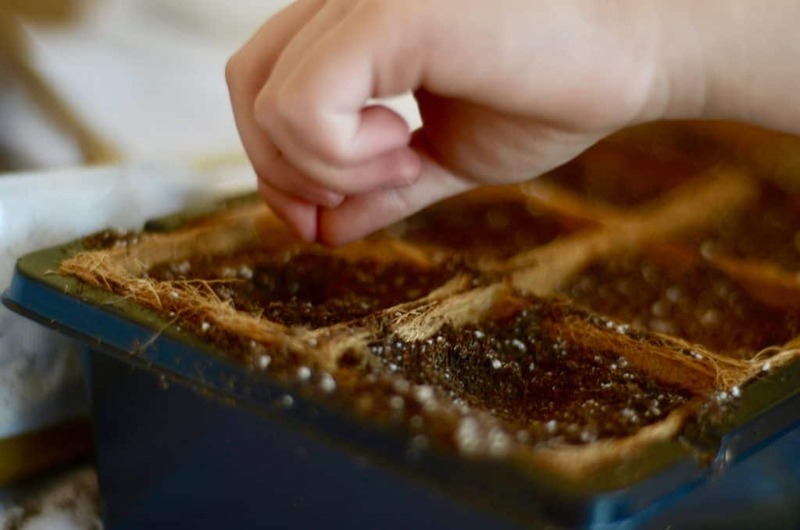 If you’re considering a garden this summer, you should involve your kids in picking out and planting seedlings to grow indoors! This is inspiring! I have no green thumb whatsoever but I desperately want a veggie garden this year! This was so easy to follow!!! I have been thinking about doing this in my room in Kazakhstan but wasn’t sure if it was going to be too complicated or not. Now I definitely am. Thank you! I used to do this all of the time with my grandmother. What a great read! I was waiting for warmer weather to attempt some gardening but this seems super easy! okay, so I usually just buy the plants that have been started, and put them in the group around memorial day. Last year I had some success with herbs, so plan to do that again this year. Thank you this is useful to know since I will be starting planting with my 2 year old this month! 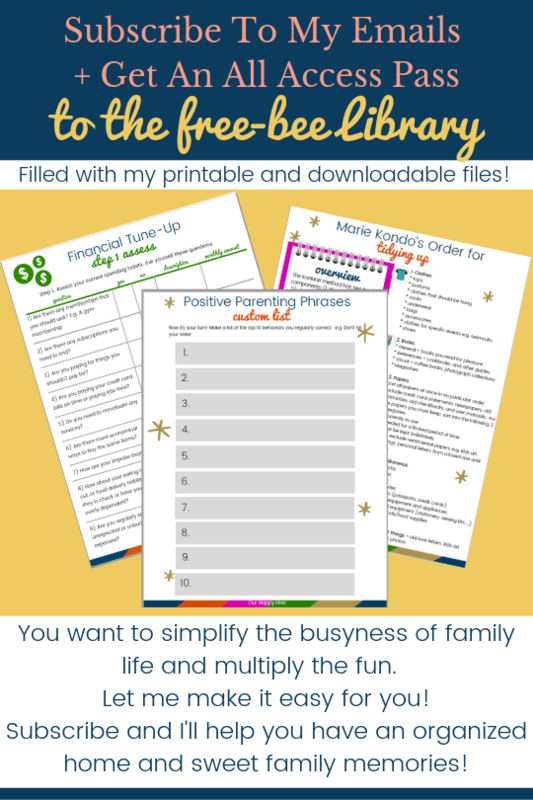 Great info!! Thank you! I am going to get to planning our seedlings asap. Excellent thorough post on this. This is such an amazing idea! I definitely do not have a green thumb, but I think I am going to try this! I have the absolute worst green thumb, but I feel like I could do this!! Going to give it a shot.